Boston: The Morning Star Publishing House, 1906. Paperback. 148p., tables, reports and a few dim snapshots printed on semicoated and slightly acidic paperstock, sewn signatures softbound in 7.5x5 inch plain printed wraps. Both covers severely torn along the joints with a transverse tear developed one inch across the front; textblock toned but sound; there are a few spotty stains. Complete and handleable, a reading and reference copy. F.y.i., about three quarters of the material are tabled data, names, addresses; of the written reports several are passionately written. Shanghai: Qing nian xie hui shu ju, 1948. 4, 26, 294, 2 pages, very good paperback, Fifth edition. English title, "Life of Jesus," on publisher's colophon. Qing nian cong shu / Youth library, 22. 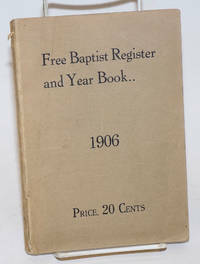 Rangoon: American Baptist Mission Press, 1932. Four issues of the staplebound journal, 27 to 32 pages each, stapled together and crudely enclosed in cloth-covered boards, a homemade job, boards separated from the journals inside; while the boards are worn and the cloth is coming off of the rear cover, the journals themselves, aside from some rust adjacent to the staples, are in very good condition. Not found in OCLC. 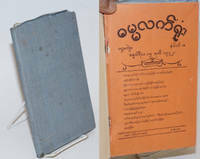 The journals, entirely in Burmese, include articles primarily on religious topics, with a few black and white photos of sites in the West. New York: Christian Mission for the United Nations Community, 2001. 202p., very good paperback, 8.5x11 inches. 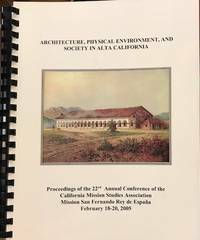 California Mission Studies Association, 2005. 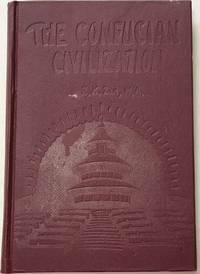 193p., 8.5x11 inches, introduction, articles and essays, references, footnotes, figures, illustrations, tables, very good report in spiral-bound pictorial covers. Six holdings located in OCLC as of 10/2017. 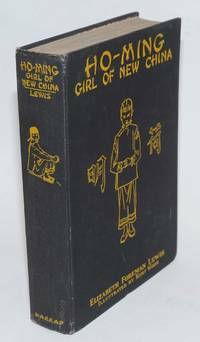 Shanghai: Mission Book Company, n.d.. viii, 99p., slender hardcover, couple of small scars to cloth, interior very good. Fourth impression. Undated; the "most up-to-date bibliography" lists publications up to 1927. Overview of Confucianism, intended to reveal its inadequacies as compared with Christianity. Preface by Frank Rawlinson and introduction by Bishop Birney. 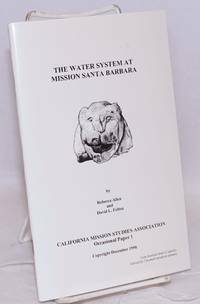 [San Diego]: California Mission Studies Association, 1992. 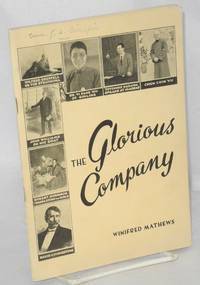 23p., 5.5x8.5 inches, introduction, notes, illustrated with six b&w photos and a plan, very good first edition booklet in stapled glossy white pictorial wraps. CMSA Keepsake #1. First in a series that became the Occasional papers. San Jose: China Today Books; Nora Lam Chinese MInistries International, 1997. 74p., slender small paperback, first printing. Very good. 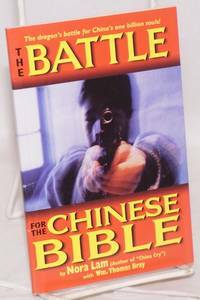 Tract by the Chinese-American evangelist. 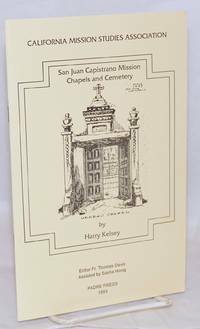 [San Diego]: California Mission Studies Association, 1998. iv, 41p., 5.5x8.5 inches, foreword, introduction, historical accounts, overview, references cited, illustrated with figures, plans, maps, photos, centerfold map, very good first edition booklet in stapled glossy white pictorial wraps. Occasional Paper #1. 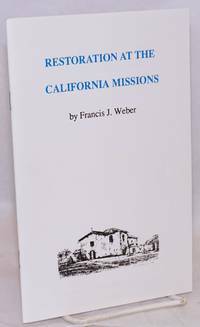 Northridge: Padre Press for the California Mission Studies Association, 1993. 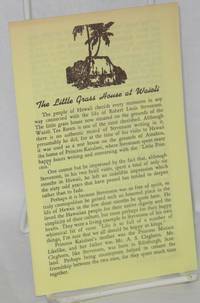 17p., 5.5x8.5 inches, illustrated with photos, plans and figures, very good first edition booklet in stapled glossy yellow pictorial wraps. 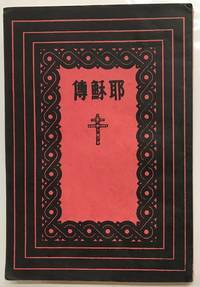 Hankow: Arthington Press, Religious Tract Society, 1921. 106p., very good hardcover, front endpaper toned with ownership inscription of a D. Melnikoff. Black and white plates have tissue guards intact. The fold-out map has a yellowed tape repair to reverse where it is joined to the binding, not visible from the front. Kuling, now spelled Guling, was a health resort established in 1895 by Edward Selby Little as a retreat for missionaries. Makati: Bookmark, 1990. 82p., very good paperback. 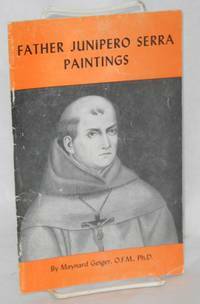 Santa Barbara: Franciscan Fathers, 1958. 36p.,5.5x8.5 inches, semi-coated paperstock throughout, illustrated with b&w reproductions of the titular artworks, very good booklet in stapled pictorial orange & white wraps that are rubbed. Geiger concludes, after "frequent and extensive research through more than fifteen years," that he cannot tell if any of the representations are likenesses, or if one is closer than the others. Toronto: United Church of Canada, Committee on Missionary Education, 1943. 72p., staplebound booklet, "Mrs. J. A. Gillespie" penned at top of front cover, otherwise unmarked. 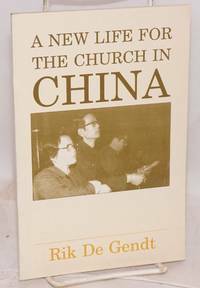 Collected brief biographies of missionaries to China, including Chinese converts. 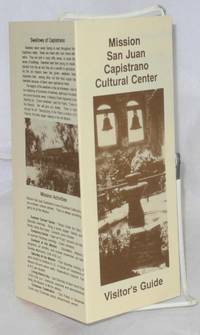 Honolulu: The Waioli Tea Room, n.d.. Four-panel brochure, top edge toned, otherwise very good. Introduces the replica of the grass guest house where Robert Louis Stevenson stayed in 1889 when he visited Princess Ka'iulani and her father Archibald Scott Cleghorn. The house is at the tea room, run by the Salvation Army. 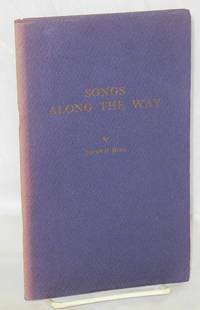 Includes the text of Stevenson's Family Prayer. African Methodist Episcopal Zion Church, 1975. [72p. ], wraps, front cover has circular cut-out through which is visible an outline of Africa with Bible and torch; several small stains to the illustration, interior otherwise clean. 11x8.5 inches. 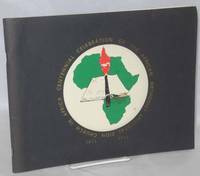 Program booklet for an event marking the centennial of the AME Zion Church in Africa, with messages from clerical and government leaders in several west African countries. The location of the celebration is not readily apparent, with statements of congratulations coming from both African American and African sources. 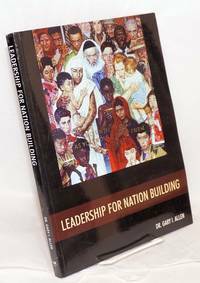 One theme of the program is that Christianity in Africa has been hindered by racism and association with colonialism, making it imperative for Black missionaries to play a larger role. New Haven: Printing Office of Yale University Press, 1957. 88p., staplebound wraps, spine sunned, otherwise very good. 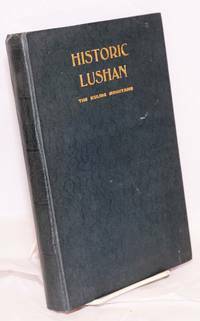 Poems written during Hume's years in China, where he was active in the Yale-In-China Mission and organized the Hsiang-Ya Medical College. London: China Inland Mission, Overseas Missionary Fellowship, 1961. Pamphlet. 48p., wraps, small stain on front wrap else good condition, 5x7.25 inches. 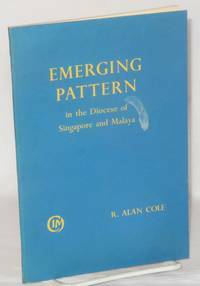 Includes references to work in "terriorist" areas, Chinese in Malaya, Muslims, etc.